In a recent letter attacking E Cigarette Direct (link removed since this post was first published), ASH claimed that Electronic Cigarette Companies could not be relied upon to be neutral because of their financial interest. They also claimed that any research commissioned by Electronic Cigarette Companies was compromised. Yet the very organisation that claims electronic cigarette research is compromised is accepting money from a major pharmaceutical company. It’s not easy to find out where ASH’s money come from. We know they make some money by charging for advice on how to separate children from their parents (page since removed). But their financial reports are vague on the sources of their funds. Jim Corken, of E Cigarette National, pointed me towards this document on the Pfizer website. ASH is the first named partner in a $47 million dollar funding programme by Pfizer. 1. They sell billions of dollars of nicotine replacement aids per year. (Unfortunately, these don’t work.) The market for these aids has been largely created by the Big Pharm funding of the anti-smoking movement, which has seem hundreds of millions of dollars channelled to public health organisations, much of it via the Robert Wood Johnson Foundation. 3. By removing the current electronic cigarette companies, big pharm can benefit by introducing their own version of the electronic cigarette in their future. Their huge donation to public health organisations means that these bodies are unlikely to protest. It is standard for commercial companies to fund research into their products. The FDA itself is funded by pharmecutical companies and, more recently, by the tobacco companies whose products kill more than 400,000 a year. Testing organisations are supposed to maintain independence despite the source of funds. 1. That the electronic cigarette contains less nicotine than real cigarettes. 2. That the ingredients of the electronic cigarette are far less harmful than those contained in real cigarettes. That they have made this accusation at the same time as receiving money from organisations with a direct negative interest in Electronic Cigarettes is simply breathtaking in its level of hypocrisy. Who do you suppose pays for the research that tells us tobacco kills 'more than 400,000 a year.'? It strikes me that ASH aren't the only ones guilty of double standards and hypocrisy around here. The studies condemning e-cigarettes are starting to emerge. There'll be an avalanche of them along soon enough, and I don't suppose it will take you long to debunk them all, and quite rightly so. Only, please remember that ASH haven't only just started being underhand. ASH(UK)also have shares in GlaxoSmithKlein. Both GSK and Pfizer are major marketers of NRT. I'd go further than you in my accusations of ASH. Does it never strike you as odd that they are so keen to promote legislation that is known to increase smoking, especially in younger age groups? I'm not accusing them of purposely pushing the smoking rate up – actually I think I probably am. But there's also a chance that they're just so monomaniacal over nicoteen use that they can't see how they're being used by the pharmaceuticals. Next time you're tempted to quote smoking stats, just take a moment to consider who came up with those figures, and then apply the same dose of scepticism that you no doubt will to all those 'e-cigs cause death' type headlines we'll be seeing in the Mail. I can actually see your point here. One point that makes me more inclined to believe the statistics on deaths from tobacco is that I have seen them quoted by some of the doctors who have attacked ASH's extreme health claims. I am more inclined to believe these scientists that I am ASH. I've also recently seem two members of my wife's family who were heavy smokers die from lung cancer, which seems like quite a high percentage! However, it is good to be sceptical. Indeed, by their use of junk science the public health organisations are making many more of us into sceptics. I am far more sceptical of passive smoking claims e.t.c. since I have seen how many lies are used by the anti-smoking lobby. Ultimately, while I am sure smoking is bad for you, whether you smoke or not should be your own decision. And the same goes for the use of electronic cigarettes. I'm sorry to read about your wife's relatives. Interestingly, you say they were both 'heavy smokers'. I don't dispute that heavy smoking can have serious consequences – no different from overindulgence in alcohol, food or any other human pleasure. In fact, there's a MASSIVE body of work pointing to the politically incorrect conclusion that light to moderate smoking is not only much, MUCH less risky, but the benefits accruing outweigh those minimal risks. I wish you well in your campaign, the enemies of my enemies being my friends and all that! But I also wish you'd stop slagging off real smoking to further your cause. Using one load of junk science to offset another load of junk science isn't logical or fair. And, you're right about being sceptical. The sad thing is that the anti-smoking lobby have undermined trust in the medical profession. I certainly don't believe anything coming out Public Health these days. Always interested in interesting links! We maintain that smoking is bad for you on this blog – we have also pointed out that smoking taxes in the UK pay several times the cost of smoking diseases, and that people should have the right to do what they want – even if that is bad for them. We have also criticised smoking taxes, saying they are too high and constitute an unfair tax on poorer people. 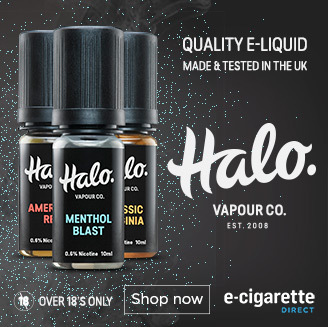 Some e-cigarette companies have gone further than us, including one called e-cigarettedirect.com. We haven't taken a strong stance on passive smoking and while I am not about to go and blow cigarette smoke in my daughter's face I have recent seen that there are studies which suggest that passive smoking do not have a major negative effect on health. I also heard the doctor who identified the link between smoking and lung cancer say, in an interview before his death, that he did not believe that passive smoking caused harm. So maybe we are slagging of smoking – but we definitely believe in the freedom to smoke, and we definitely not anti-smoker. It isn't a study (sorry), but it is the opinion of someone who's carried out a lot of work in this area. Here's Sir Ronald Fisher, who practically invented the science of epidemiology, discussing the smoking = lung cancer findings of Doll and Hill. as a conspicuous and catastrophic howler." Here's a passive smoking one:https://www.medwire-news.md/48/72330/Respiratory/Smoking_linked_to_reduced_allergic_sensitization_.html. And another: https://www.sciencedirect.com/science?_ob=ArticleURL&_udi=B6VH3-4D1DBCW-2&_user=10&_rdoc=1&_fmt=&_orig=search&_sort=d&view=c&_acct=C000050221&_version=1&_urlVersion=0&_userid=10&md5=71eeafbef76041e11b31c68b13feefe4. Although not about active smoking, I've included these two because of your 'blowing smoke in children's faces' comment. It's amazing how many studies on this subject suggest that the children of smokers are LESS likely to suffer from allergies and asthma than the children of non-smokers. Needless to say, this finding doesn't often get included in the abstracts – you have to work your way through the full study to 'find the paradox'. There's quite a lot on smoking and Parkinsons and Alzheimers, but it's all a bit confusing because they contradict each other. You get, 'smoking causes dementia' headlines and 'smoking protects from dementia' headlines practically side-by-side. The thing I remember about the former is that it's smoking in general, not just the nicotine, that offers the protection. FYI, I'm not anti-ecigs. My husband has recently moved on from 'vaping' cigarettes to vaping a pipe. But I always have preferred the natural over man-made in anything. I now smoke Pueblo organic rolled in OCB unbleached papers and also grow a row or two in the veg garden. Nicotine's okay, but it's those other 3,999 other chemicals that do it for me! It's currently free fot the NJOY! Otherwise charged at cost.